Well, let us help you shoo away any potential boredom rainclouds with these day-brightening ideas. Fun with Food – Invite the kids into the kitchen and let them help. Set up a make-your-own sandwich bar with a variety of DI LUSSO® meats and cheeses. Let them make fun shapes with slices of meat and cheese using cookie cutters, and have add-ons like slices of bell peppers, cucumbers, pickles, and whatever else they like at the ready for decorations. Or get more ambitious and have them try a real recipe (with supervision as needed). They could easily handle Chicken and Habañero Jack Quesadillas, Mini Pepperoni and Olive Pizzas (vary the toppings to their liking) and Stromboli Bread Sticks, and all three would hit the spot on a grey day. Embrace the Weather – As long as there’s no thunder and lightning, it can be fun to venture out into the gloom if dressed appropriately. 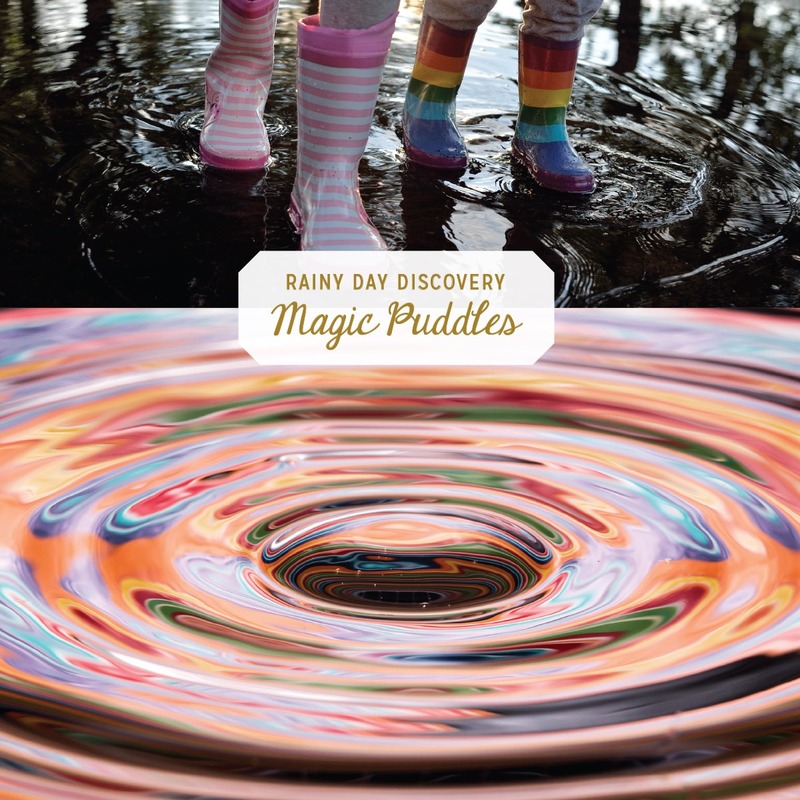 Younger kids, especially, would love making “magic puddles”—sprinkle some powdered tempera paint into a puddle and voila! Make it even more magical by then adding a baking soda-vinegar mixture and watch what happens. Or have heavy paper and watercolors on hand. Let them paint whatever they like and, while the paint is still damp, take the papers outside and let the raindrops fall where they may. Watch how the colors run and transform the creation into something extra special. Be sure to have some snacks, like DI LUSSO® cheeses and crackers, ready to munch on when they come back inside. Arts & Crafts – There’s no limit to what kids can come up with given enough craft supplies. Set out wooden ice-cream sticks, pipe cleaners and pom-poms in various sizes and colors, plastic googly eyes, paper plates, glue, stickers, empty cans and jars, paints, markers and crayons—they’ll be creating the afternoon away. Indoor Picnic – Spread out a big blanket, tablecloth, or bedspread and stage a mock picnic, complete with paper plates, a thermos of lemonade, and plenty of wrapped-up sandwiches and snacks loaded up in a picnic basket. For more inspiration click here and here. Hero Sandwiches, Dijon Deviled Eggs, fresh fruit, and cookies are sure to satisfy. As an alternative, let them build a blanket fort and eat inside of it. Make them Move! – Create an indoor obstacle course. Do some balloon volleyball. Have a dance marathon. Give everyone a list for an indoor scavenger hunt. OK, Maybe a Little TV – Choose a really engaging movie. Pop some corn. Enjoy an hour or two of relative calm.